Congratulations again to director Nash Ang and Producer Victor Villanueva and Ronnie Gamboa Jr! The film festival’s 21st year signals a great victory for a Korea-based Filipino filmmaker Nash Ang who bagged the Best Film Award in the Cine’Eco – The International Festival of Environmental Cinema of Serra da Estrela; the only festival of its kind in Portugal dealing with the recognition of humanity’s responsibility to take care of the earth and all the living things in it. It is a documentary film showing how the typhoon survivors, particularly children, piece their lives back together after the passage of the storm. What was once their paradise became nothing but a ruin, so to speak. The film looks at three families, one of which lost 22 members, while only three survived; two children and a grandparent. The film came about partly by chance, as Ang had been planning to film in the area before the typhoon hit. Before Haiyan [Yolanda] came and struck the Philippines, Ang said that together with his producer, Victor Villanueva, they were planning to make a film in Cebu, but decided to cancel the film there and planned instead to make a documentary about the child survivors of Typhoon Haiyan. Their change of focus turned out to be momentous. The festival’s awarding was held at the city of Seia in Portugal, and ‘Paraiso’ [Paradise] got the Grand Prix CineEco 2015. According to the festival director, Mário Jorge Branquinho, 80 films from 20 countries competed in the festival. He also called Ang’s style, “direct cinema”. Ang’s film career started when his film ‘iskWATER’ won in the 1st South East Asian Student Documentary Awards – International Science Film Festival in 2010. In 2011, he became NCCA’s ‘Ani ng Dangal’ grantee for upholding international excellence in the film category. 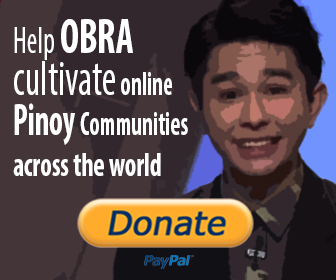 His other film directing credits include Lusong (2011 documentary) and Seoul Mates (Cinema One Originals 2014 entry). Aside from directing, Ang also acts for film and does musical theater. ‘Paraiso’ premiered in the Philippines via the Singkwento International Film Festival held last February where it was the opening film. It was the closing film of the 2nd Transcultural Network Festival South Korea held this year. 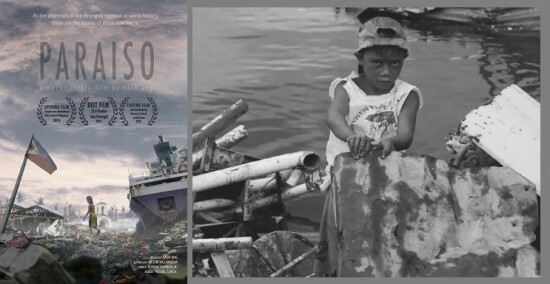 And now, the Portugal-winning documentary on Typhoon Yolanda screens in UP. Nash Ang’s full-length documentary a month after the strongest storm in history struck will have its own screening run at the UPFI Film Center in UP Diliman on November 12, Thursday, and November 13, Friday, at 2:30, 5 and 7 p.m.
Its screening run is a fitting commemoration of the anniversary of the super typhoon that ravaged the country in November 2013. At Cinematheque Iloilo, Philippines, Paraiso will also have its screening on November 17-22, 2015. Moreover, ‘Paraiso’ is in the official selection of PLANETA.doc Festival Internacional de Cinema Socioambiental 2015 and will have a three-screening run; 28th October, 9th November, and on the 11th of November 2015. Salad, South Korea screening of ‘Paraiso’ will be on November 8, 2015.